Kristen Hislop is a USAT certified triathlon coach, Ironman U Certified coach, AFAA certified personal trainer and Mad Dogg Athletics and Spinning certified instructor. She started swimming competitively at age 8. She continued to swim through her collegiate career. In high school she picked up track, running for 2 years in college and continuing with road races post college. In Colorado in 1991 she added biking and started triathlons. After many years of racing successfully she moved into coaching 10 year ago. She coaches individuals and has an all women's team called Upstate Warriors. 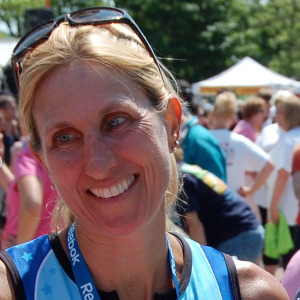 She coaches in many capacities in the area for Freihofer's Training Challenge, TEAM in Training, the Southern Saratoga YMCA and brought a much coveted LUNA Chix Triathlon Team to upstate NY. Kristen is often heard on the radio, seen on TV and read about in the paper. The theme is consistent - do, believe and achieve. Kristen gets to know her athletes so that each workout is tailored specifically to their needs. She pushes when needed and grabs the reins when an athlete needs to be pulled back. She participates, coaches and also gives back as a board member of USATF, apparel queen for Capital District Tri Club, winter series committee for Saratoga Tri Club, and VP for Shen Track Club. Success. Coach Kristen Hislop has been notified of your message.